Stage 3 of British Cycling’s premier road cycling event arrives in the Scottish Borders on Tuesday 8th September 2015. With 120 world class professional cyclists, the calibre competing are from the top of the sport, and teams include the likes of Team Sky and BMC Racing, so spectators will not be disappointed. This is the fourth time Britain’s largest annual free-to-spectate sporting event has visited the region, and each time the Borders have warmly welcomed this fantastic event. Starting in Cockermouth on the edge of the Lake District, the tour will cycle through the Borders towns of Newcastleton, Hawick and Selkirk before passing through Melrose High Street early to mid afternoon. 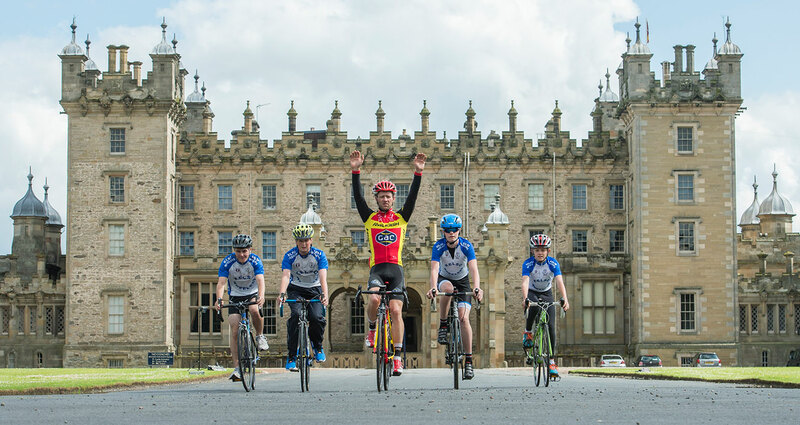 They will then attack a ‘King of the Mountain’ climb in the Eildon Hills before heading to the stage finish point at the magnificent Floors Castle in Kelso. Why not come and support the cyclists on route through the Borders and enjoy lunch at the Burts or Townhouse in Melrose, unlike these leading professional athletes you will have time to enjoy the countryside views.